Binali Yıldırım, Turkish Parliament speaker and the ruling Justice and Development Party (AK Party)'s candidate for Istanbul mayor in the upcoming local elections, said on Tuesday that he will submit his resignation as soon as the official filing of his candidacy is completed. 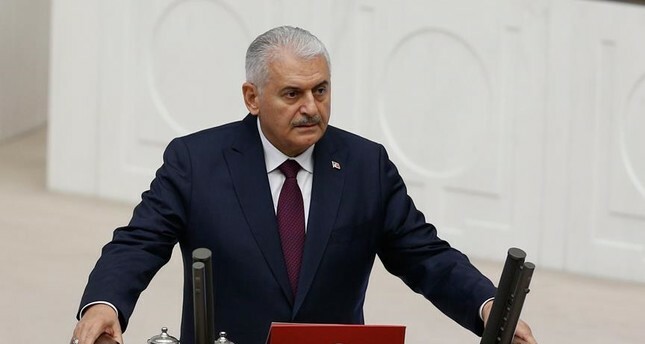 In an interview with the CNN Türk news channel, Yıldırım said he will resign from his post as parliamentary speaker on Feb. 18 after the formal application for his mayoral bid is completed. The Turkish opposition has been criticizing Yıldırım's candidacy as being against the law, arguing the Turkish constitution bans parliamentary speakers and deputy speakers from participating in the political activities of their parties within or outside Parliament, apart from situations that are required by their duties. However, Yıldırım says his bid for mayorship was unprecedented and the law was not clear. "This is a first in legislation. The laws are not clear on the issue… Legislators are discussing (this) among themselves. Some say there aren't any laws against it, and some say I should resign." Yıldırım said he was "fed up" with all the discussions about his resignation and said they should be discussing Istanbul instead. Yıldırım's candidacy for Istanbul mayor was announced by President Recep Tayyip Erdoğan on Dec. 29 after months of speculation. Yıldırım has long been regarded as the most prominent name for Istanbul, a city where the party that wins the elections is considered as having won majority across Turkey, as he was able to gather public support and appreciation. He became Turkey's last prime minister in May 2016. With the constitutional changes approved in the April 16, 2017 referendum, which envisaged a new executive presidential system, it was decided that the prime ministerial post would be abolished. He was also entitled to the State Medal of Honor on July 13, 2018, for his outstanding achievements in ensuring the indivisible integrity of the country, and the peace and unity of society.